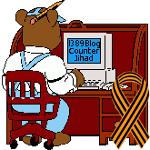 The Caliphate means constant war on us on a scale not yet seen — 1389 Blog - Counterjihad! While the British government is making its own citizens pay for the jihadis allowed to return to the UK from Syria and Iraq, both in terms of money – through the £1.1 billion cash injection for defence announced today, £800 million of which will fund an extra investment in intelligence and surveillance to deal with the threat of terrorism – and in terms of intrusion and greater state power – through emergency laws to monitor phone and internet records “to stop terrorists” –, people hear of the establishment of a caliphate in the Middle East without the media – with few exceptions – providing any explanation of its real significance. In Islam, only a caliphate has the authority to declare offensive war on infidel countries. That’s why Osama bin Laden was so keen on it and called for Muslims to “establish the righteous caliphate of our ummah”, after Abdulhamid II’s Ottoman caliphate was abolished by the Turkish Republic of Kemal Ataturk in his secularisation (short-lived) attempts in 1924. And that’s why jihadis always explain their acts of terrorism in terms of defensive war, as a response to the infidel’s armies occupying Muslim lands, for example. The very existence of a caliphate would usher a state of constant hostility: Both historically and doctrinally, the caliphate is obligated to wage jihad, at least annually, to bring the “disbelieving” world under Islamic dominion and enforce sharia law. Most of what is today called the “Muslim world”-from Morocco to Pakistan-was conquered, bit by bit, by a caliphate begun in Arabia in 632. A caliphate represents a permanent, ideological enemy, not a temporal enemy that can be bought or pacified through diplomacy or concessions — economic or otherwise. Short of agreeing either to convert to Islam or live as second-class citizens, or “dhimmis” – who, among other indignities, must practice their religions quietly; pay a higher tax [jizyah]; give way to Muslims on the street; wear clothing that distinguishes them from Muslims, the start of the yellow star of David required for the Jews by the Nazis during World War II; have their testimony be worth half of a Muslim’s; and never retaliate against Muslim abuses-the jihad continues. A caliphate is precisely what Islamists around the world are feverishly seeking to establish – before people realize what it represents and try to prevent it. Without active, preemptive measures, it is only a matter of time before they succeed. The experts overlook two crucial provisions of Shari’ah which I will quote. Offensive Jihad requires neither pretext nor caliph. Both are conveniences, not necessities. caliph (def: 025), no permission is required). “Reliance of the Traveller” pg. 602.